Before I share my outfit details with you today, I want to express my appreciation for all of the kind comments & words of encouragement that I received in response to yesterday’s post. I am so grateful to have such an incredible community of women surrounding me and that we have the opportunity to share each other’s burdens & joys – it is truly one of the greatest blessings that has come from this blog and I can’t thank you all enough for contributing to that. You are the best! I get so excited when I find an item that I know will be wardrobe workhorse and this skirt (that’s under $30!) is the perfect example of a style that can bridge the gap in between summer & fall. It’s one of those truly versatile pieces because it’s lightweight enough to wear now, but the paisley print & color scheme make it ideal for that transitional time. 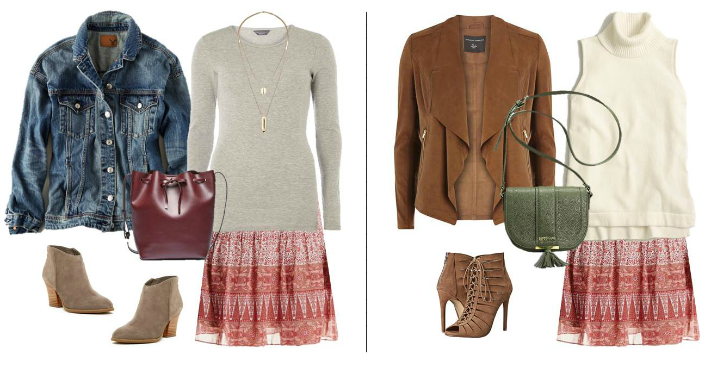 A relaxed open-knit sweater gives it a more casual vibe & the rich cognac accessories are a nod to the coming season. 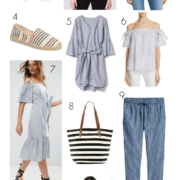 To give you further styling inspiration, I’ve included even more outfit ideas ideas below!